For close to two decades, Jeffrey Wright has been one of the finest actors working on stage and screen. He won a Tony in 1994 for his breathtaking turn as Belize, an ex–drag queen and pallative caregiver, in Angels in America and, 10 years later, he took home an Emmy after reprising his role in HBO’s adaptation of the play. In between and afterward he’s delivered iconic performances as American icons including Jean-Michel Basquiat, Martin Luther King Jr., and Colin Powell. Now Wright is tackling a historical figure that’s entirely fictional, playing the fascinating and nefarious Dr. Valentin Narcisse on the fourth season of Boardwalk Empire (premiering this Sunday). I’ve had my issues with Boardwalk in the past, but the precision and grace of Wright’s performance silences all criticism. His Dr. Narcisse — based, in part, on actual Harlem powerbrokers like Casper Holstein — is instantly the most compelling character in a show overstuffed with them: He’s a dapper and educated rival to Michael Kenneth Williams’s Chalky White, one who preaches black nationalism but has no qualms about arranging heroin deals in Marcus Garvey’s office. Having the chance to speak to Wright at length about the role — how he pushed for changes in Narcisse in response to his own frustration with movies like Django Unchained; how one of the most appealing things about joining the show was his five-minute commute to the set from his Brooklyn home — was a pleasure and a privilege. Over the course of nearly an hour, our conversation ranged from representations of race in film to The Hunger Games (Wright is a costar in the upcoming Catching Fire), from magical bourbon to the way Jay Z was “a little late” in branding himself the new Basquiat. My only regret is that Jeffrey wasn’t nearly as excited about my idea of having him, a D.C. native, star in a TV adaptation of George Pelecanos’s Derek Strange detective books. 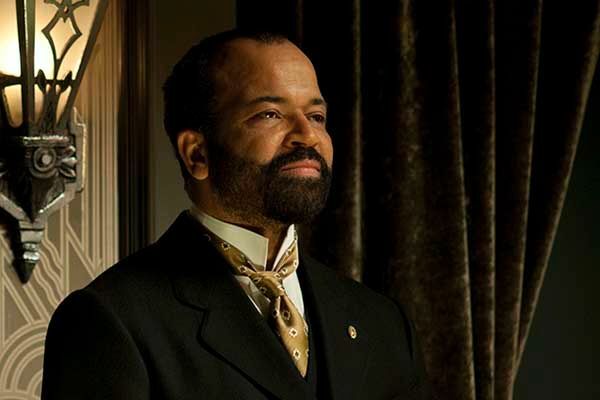 But with a résumé like his, career advice is the last thing Jeffrey Wright needs.